How to save OBDSTAR X100 X300M Log Data? What’s the advantages of OBDSTAR data logging? 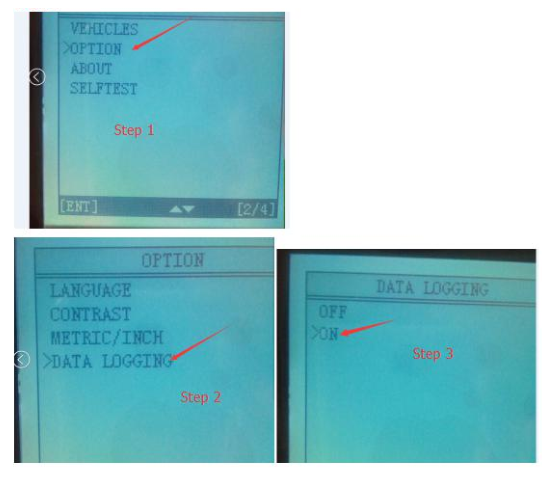 You can send the log data to OBDSTAR engineer if somthing is wrong with your device. Here’s the guide to save data of OBDSTAR hand-held devices (H-series tools, F-series tools, X100 Pro, X300M etc). 1. Connecting the device – Starting it-Pressing option-Pressing Data Logging-Pressing on-Pressing ESC – Back to the main menu. 2. Keep the device at “on” state, go to test the car, when it fails to do the program. power off the machine please. 3.Pull out the TF card where there is a LOG file. 4. Send us the LOG file and the engineer would analyse the data and figure out the reason.